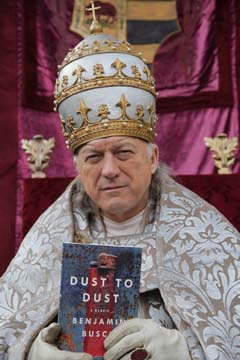 It is best to have one's book endorsed by a man with a hat so big it could hide the book inside it. Except that hiding the book in the headgear would defeat the purpose of increasing visibility for the book. You are right, PJ. He probably has a forgotten book hidden inside that hat. A book that would be a bestseller if he had not placed it there and forgotten it.